We will review the areas of representation that are available to you and to potential buyers - Single Party Broker and Transaction Broker. Our representation of your interests will thoroughly be discussed and presented to you before consideration. We will present to you a custom Marketing Action Plan, a formal written plan for marketing of your property. This may include an open house to be conducted when appropriate as agreed to in advance with you. We will provide you with a current Competitive Market Analysis and will assist you in determining the most effective list price for your property. We will develop a plan to enhance your property's ability to attract buyers and to help achieve the highest fair market value of home. We will present your property to the Coldwell Banker Mike Jones Company sales team. We will share with you the team's review and suggestions to help you realize the best price obtainable for your property. We will promote your property to other reputable, professional real estate associates and companies in the marketing area. We will prepare a plan for your property to appear in the local MLS and the information will be submitted for the property's debut which will achieve maximum impact. We will make information on your property available to local and out-of-town buyer prospects; which will have correct and pertinent information about your property. We will distribute promotional materials on your property to key market areas and persons to attract potential buyers. 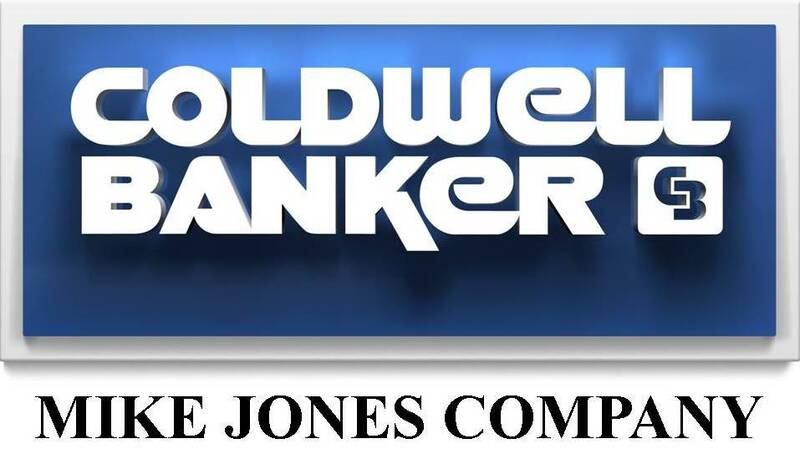 We will place a Coldwell Banker Mike Jones Company for sale sign on your property, to help generate calls and activity from prospective buyers. We will review with you our advertising and marketing plan, including Coldwell Banker Online, out world wide web site, designed to generate buyer prospects for your property. We will present your written disclosure regarding the condition of your property to buyer prospects to assist then in preparing an offer. You will keep me informed of any changes in the property and keep the information current on the disclosure form. We will provide you with information regarding a warranty on the operating systems of your home, to increase the marketability of your property and help reduce your liability to the buyer. We will provide you with a Marketing Activity Report on a regular basis to keep you informed of the competitive market conditions, buyer activity, and the actions we have taken to market your property. We will seek financial qualifying information on all buyers submitting an offer to purchase. Our goal will be to pre-qualify or pre-approve the buyer through a reputable lender. We will review all purchase offers as they are presented and we will negotiate on your behalf to reach a purchase agreement with terms that are favorable and protective for you. We will monitor and inform you of the progress of the transaction and this includes the satisfaction of all contingencies and conditions during the entire transaction. We will provide you with details about our relocation and referral services which are available to you at no cost, regardless of where you are moving.